Like, people-cancelling-surgeries-good because their symptoms were gone. And some poor souls had many of these symptoms at the same time. All the individuals with all those symptoms above were able to get complete resolution of their symptom(s) by correcting their posture. Does this look like you or someone that you know? Some people acknowledge their posture isn’t great. Most have no idea. And the lack of awareness is one of the biggest hurdles to overcome. There is research  that indicates those with postural neck pain have a different perception of what good, or normal, posture is. More on this in a minute. Generally, adults with low back and/or neck pain reported more comorbid conditions, exhibited more psychological distress (including serious mental illness), and engaged in more risky health behaviors than adults without either condition . And if all of this was not bad enough, stress is associated with mechanical neck pain and headaches [3,4]. Over time, your posture moves towards an abnormal/stressful position. But since it happens slowly, your posture still feels pretty normal. Work postures, such as a forward flexed position of head, neck, and shoulders; static loading of muscles; as well as repetitive motions can cause cumulative trauma disorders or aggravate pre-existing problems . It becomes both physically and mentally draining and you try to get through your day while trying to manage your symptoms. Treating this can be difficult for many reasons. Too often, the treatment focuses on trying to treat symptoms while ignoring the underlying problem. Quick sidebar. The picture below shows a very real way posture can get out of whack. Sometimes, it starts all the way down at the foot/ankle. If you connect the dots, the left foot pronates. This causes the knee to collapse inward (known as knee valgus) which is also accompanied hip adduction and internal rotation. This also feeds the knee collapsing towards the other knee. The hip internal rotation and adduction cause the hip levels to change (they are no longer level). The ankle bone is basically connected to your shoulder. This causes compensations at the spine which leads to the shoulders appearing to be different heights. These associated changes feed all the way up into the head and neck. So when I say treatment is kind of tricky and requires a multi-step approach, you can see what I am referring to. A couple of neck stretches will not fix this. 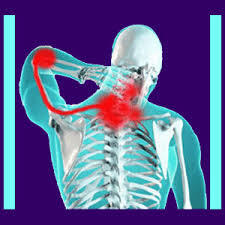 Often, the stretches that are implemented to manage the tightness in the neck and shoulders make the symptoms intensify. I have written previously asking people to stop stretching their tight muscles [Stop stretching your tight muscles]. That idea was born from working with these individuals. Posture is a learned behavior. Your brain will, essentially, encourage you to stay in the bad position as it thinks this is the proper position to be in. It has learned that the abnormal posture is normal. Part of the treatment will address this idea and give strategies to override the brain and establish a “new” normal for posture. Abnormalities in posture creep up over time and are not obvious to the individual. No one pays attention to their posture until something forces them to address it. That red stuff is not good red stuff. Like white-hot nerve pain searing down one of your arms. Or that deep, boring pain in your head that comes for days at a time that you cannot rid yourself of no matter what you try. The Ultimate Posture Guide will walk you through what steps you can take to manage and get rid of your posture-related neck pain or it will give you the information you can use to avoid having posture-related neck pain. If you have it, you want it gone immediately. If you do not have it, trust me. You do not want any part of it. Now, we also have to be careful with exercise. In many cases, the exercises we choose and how we perform them contribute to the mess that your posture is. 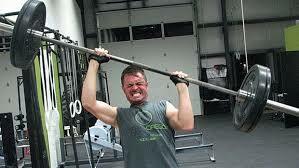 Exercise is part of the treatment, but it needs to be modified and often is not the primary focus initially. To get your copy of the Ultimate Posture Guide, click the link below. I want a copy of the Guide. Stop stretching your tight muscles. 1. Edmondston SJ, Chan HY, Wing Ngai GC, Warren LR, Williams JM, Glennon S, Netto K. Postural neck pain: An investigation of habitual sitting posture, perception of ‘good’ posture and cervicothoracic kinaesthesia. Manual Therapy. 2007;12(4):363-371. 2. Strine TW, Hootman JM. US national prevalence and correlates of low back and neck pain among adults. Arthritis Rheum. 2007 May 15;57(4):656-65. 3. Paksaichol et al. Office workers' risk factors for the development of non-specific neck pain: a systematic review of prospective cohort studies. Occup Environ Med. 2012 Sep;69(9):610-8. 4. Vangronsveld et al. Applying the fear-avoidance model to the chronic whiplash syndrome. Pain. 2007 Oct;131(3):258-61.